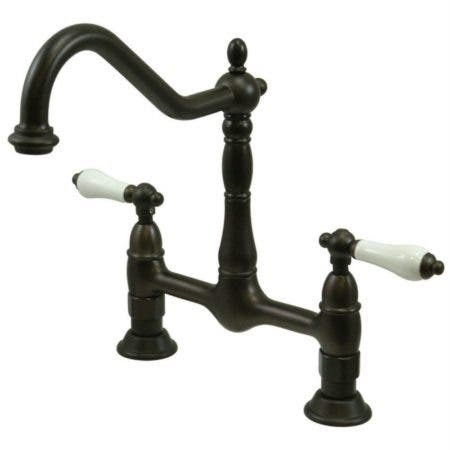 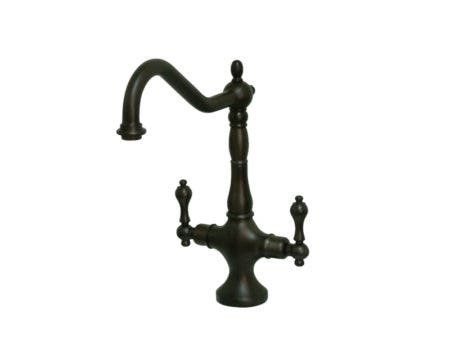 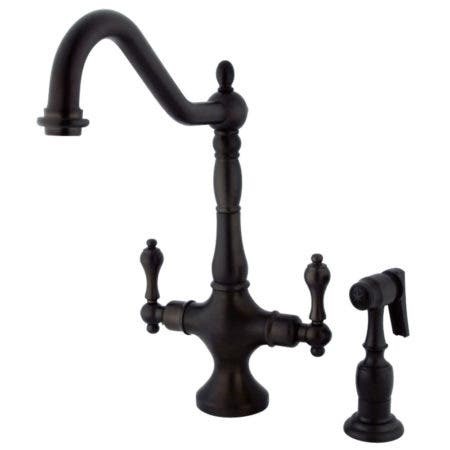 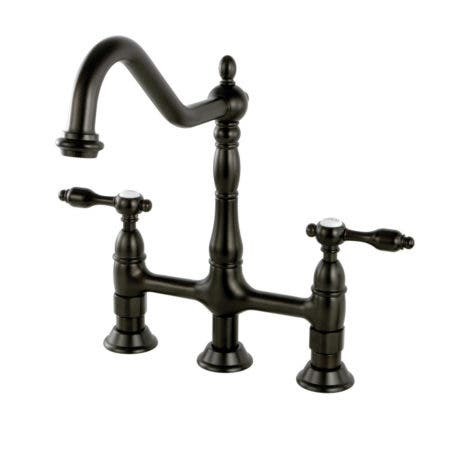 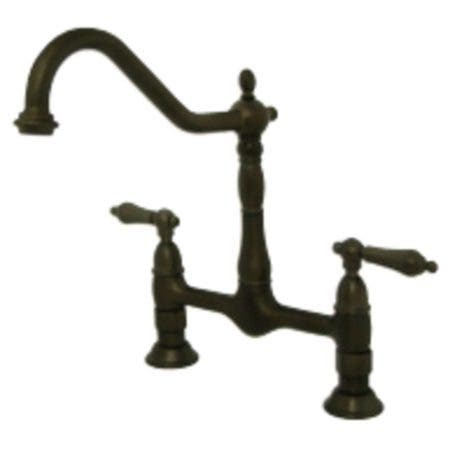 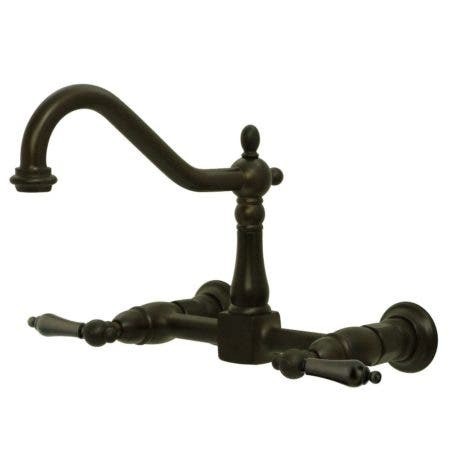 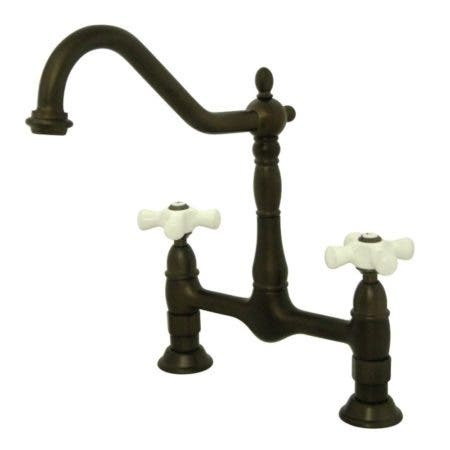 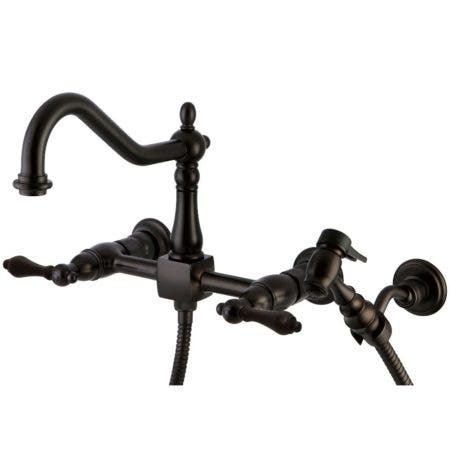 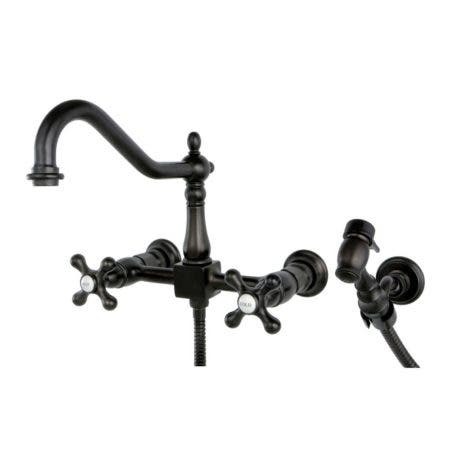 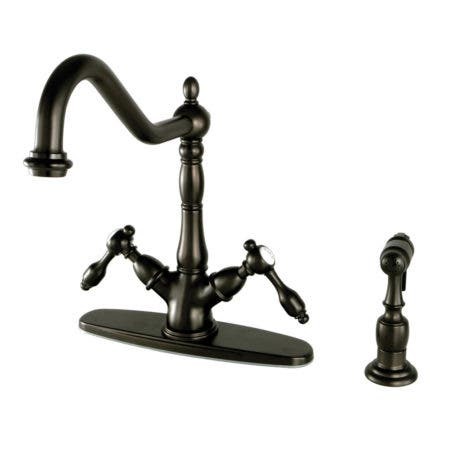 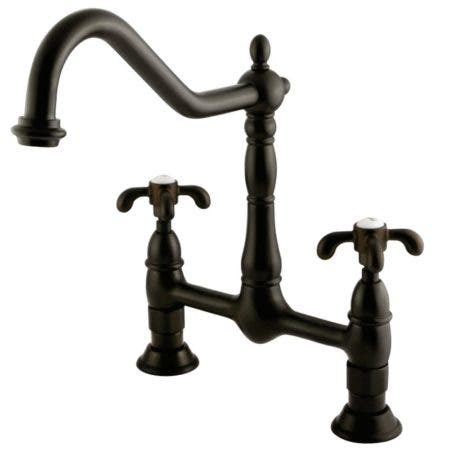 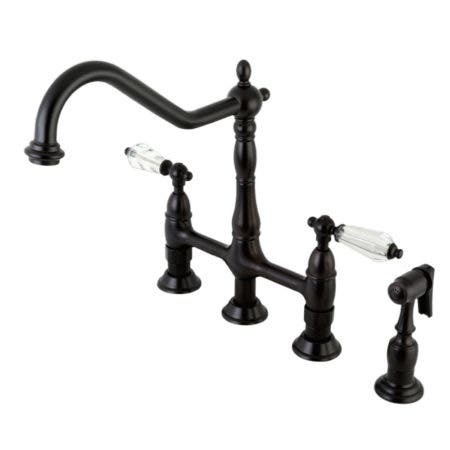 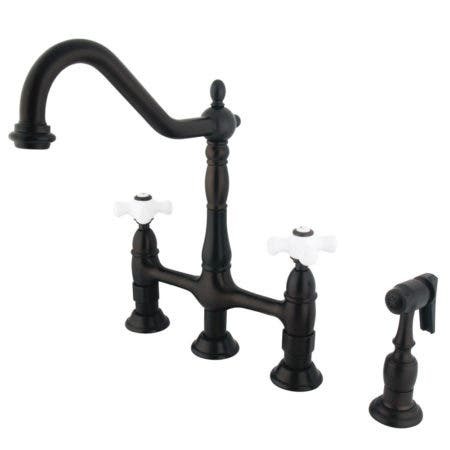 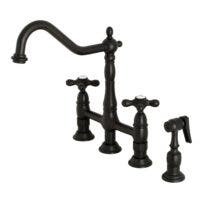 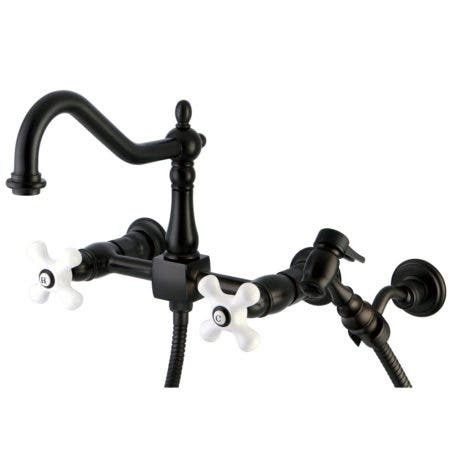 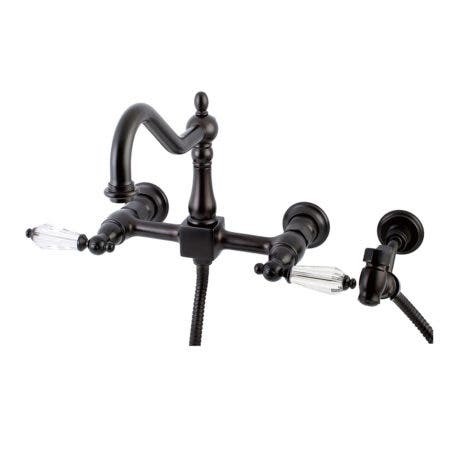 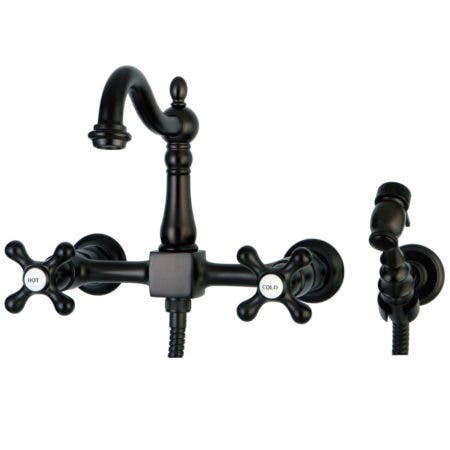 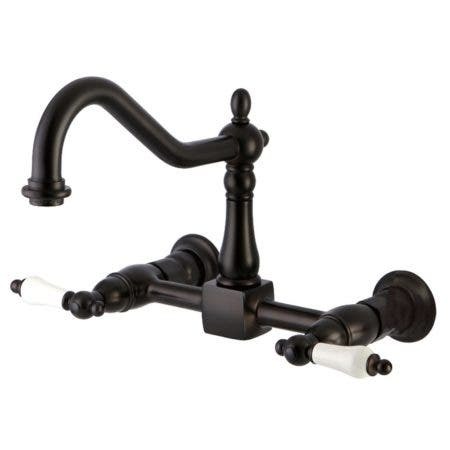 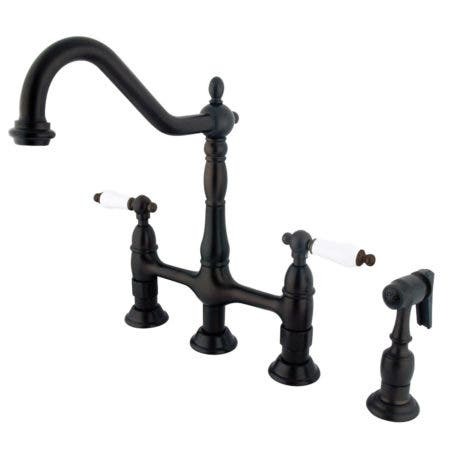 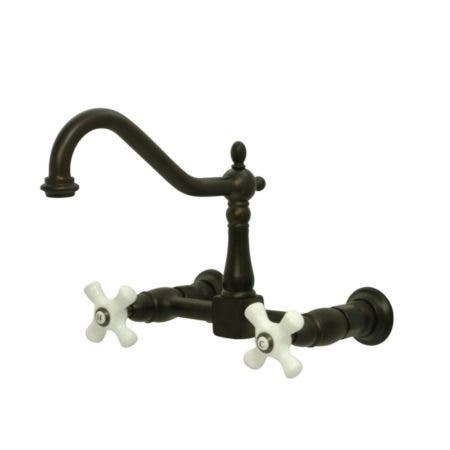 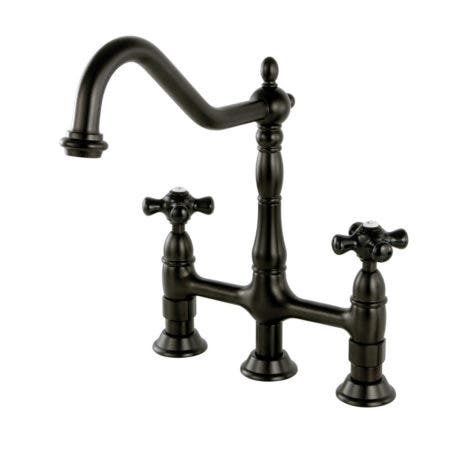 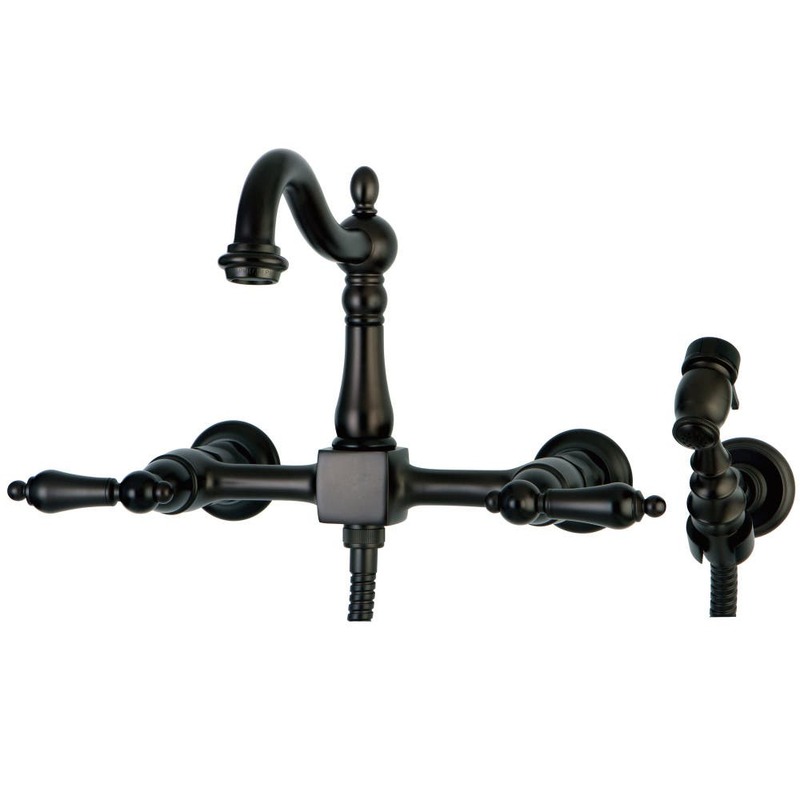 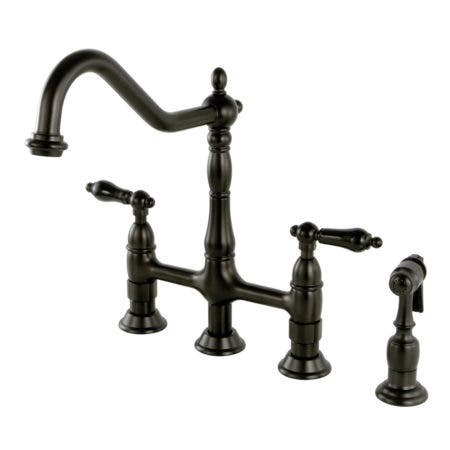 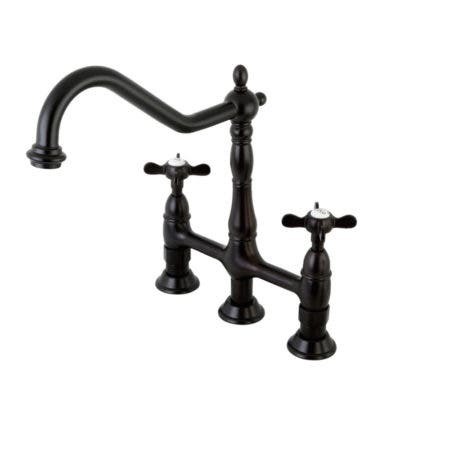 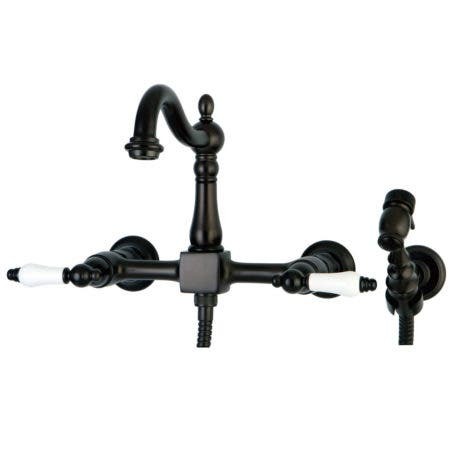 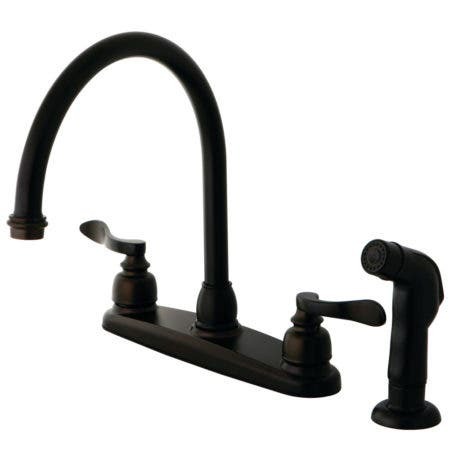 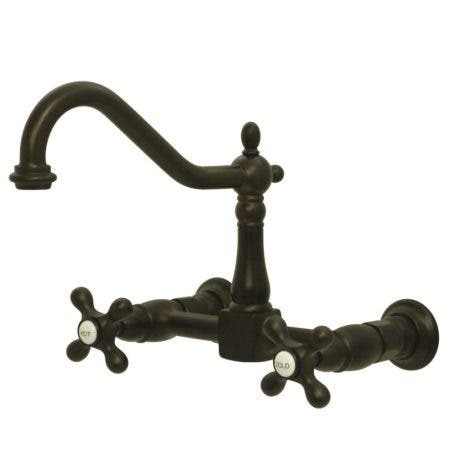 A lavish spark of traditionally stylized glamour is brought to your kitchen ensemble with this beautiful faucet. 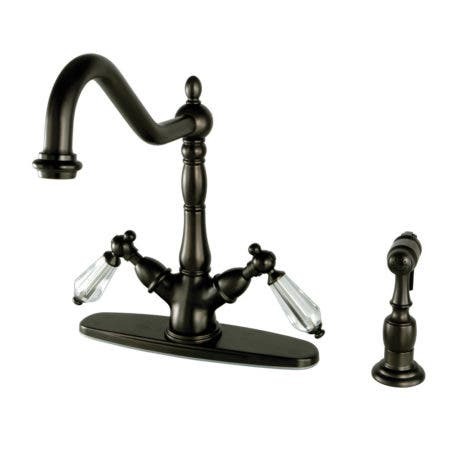 Whether you are striving for a Victorian-inspired kitchen or a vibrant 1950s-themed space, the unique bridge design is a highly favored option amongst those doing period-style kitchens. 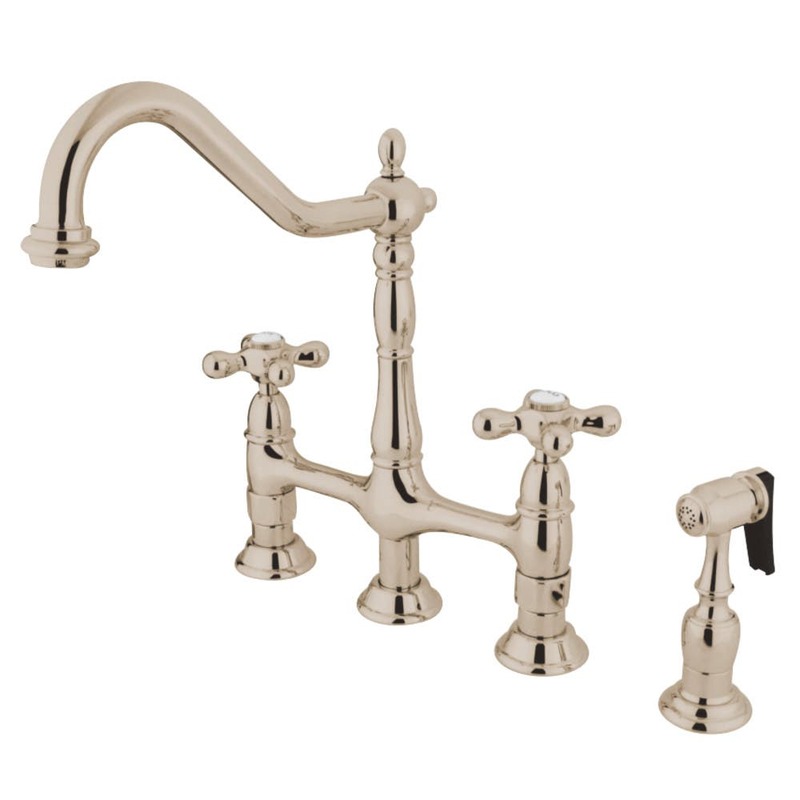 Because of its added architectural elements and detailing, the polished nickel finish will pop against your surrounding kitchen decor. 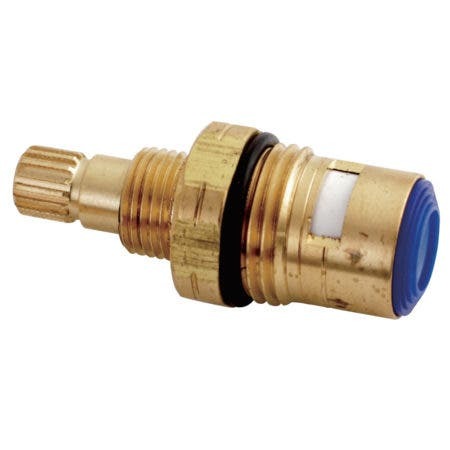 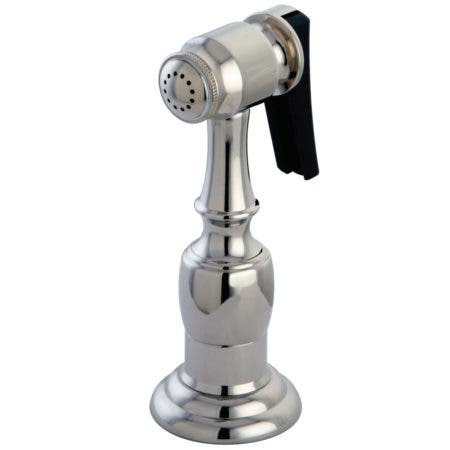 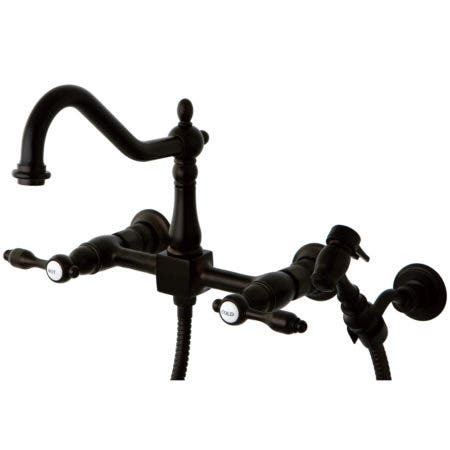 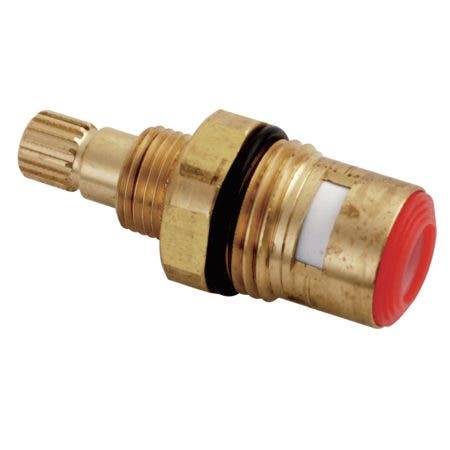 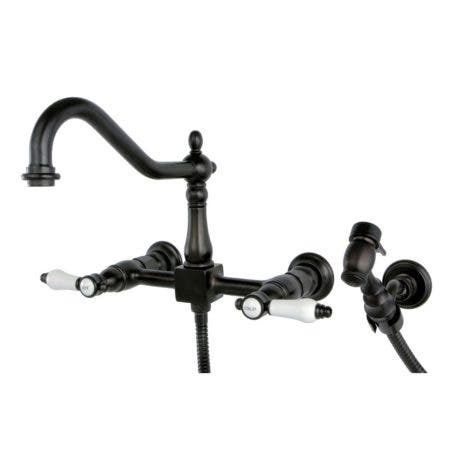 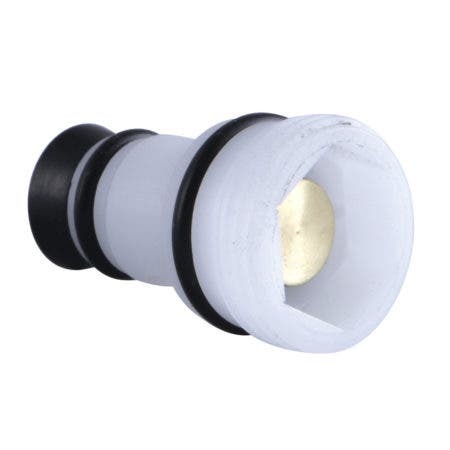 Allow the brass construction, side sprayer, and swivel abilities to provide a sturdy and reliant fixture, great for use with any sink.